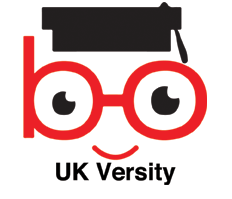 UK Versity > About Us > How does it Work? Choose an appropriate payment option and make a secure payment using a credit/debit card or PayPal. Follow the instructions sent to your email address to start learning straight away. UK Versity has Direct Claims for most Courses offered. Assessment is assignment based and certifications usually happen within 7 days of course completion. Just like a conventional classroom, attend a class in real time but without having to move. Saves time, energy and eliminate the stress of travelling. Courses are administered by tutors who come from their respective industries and expose the realities of the workplace. UK Versity’s E-learning tutors are in tune with industry trends and bring to you their knowledge and experience. Step 3: Registration with awarding organisation – UK Versity will send out an induction pack containing details of the course, registration with awarding organisation and logins to access the course material. This will take 2-3 days after making the payment of fees. This involves setting up access to the UK Versity Learner Management System (LMS). The pace of the course is set by the learner. We normally start one module for the course and all the teaching material is available on the LMS alongside the resources like- Presentations, e-book and handouts. The Operations team will come back to you as soon as we receive your completed enrolment form. The courses are designed to enhance your skills and are in demand by employers in the private and public sector. These courses are delivered by specialists who have years of experience in their field.